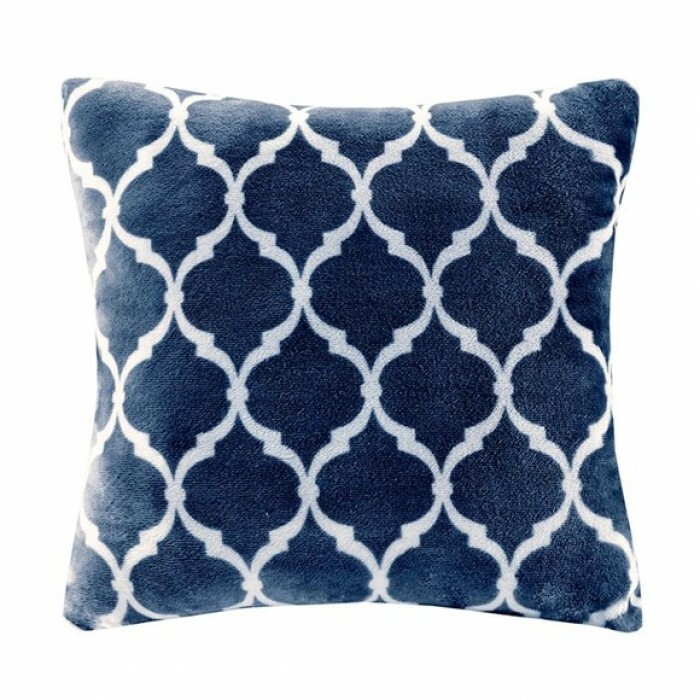 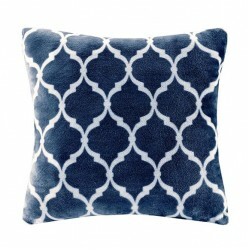 This Madison Park square navy accent pillow features a modern ogee print that adds style and flair to any room. The plush microlight fabric is extremely soft to the touch and reverses to a solid plush. 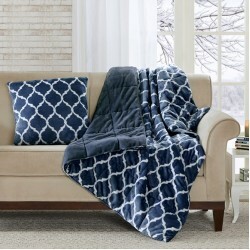 PRODUCT DETAILS: 20" X 20"